Happy Woo Wednesdays and Happy National Sunglasses Day! Most importantly, Happy Summer! Like I said in my last post, it feels good to be blogging again. I have many ideas that are inspiring to me and I hope that these inspire you. Thank you to my friend Simple Adri Lifestyle for these rad photos of me. 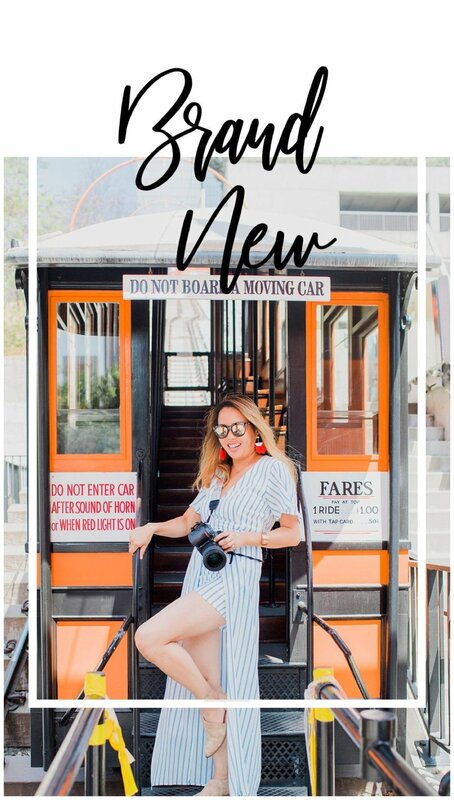 Adri takes adorable branding photos for bloggers and social influencers. Have you ever written a bucket list? I haven't. It's seems a little overwhelming. 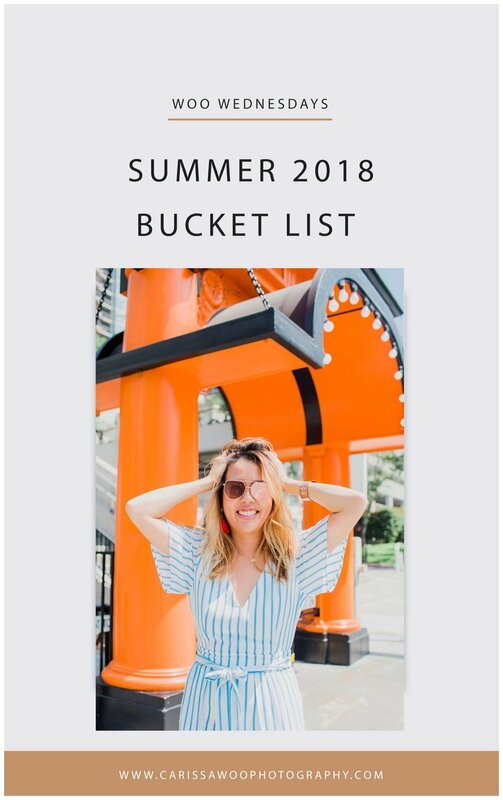 Today I'm going to share with you my Summer bucket list. I hope this inspires me to make a lifetime bucket list soon. Many of my weekends are busy shooting weddings but I don't shoot back to back weddings. (that means I only shoot one wedding a week). Therefore, I don't want the summer to get away from me. I've been talking a lot about resting in my last blog post about Tips for boss-moms, but on the flip side, doing cool and new, adventurous things gives me energy too. It brightens up my eyes, my life, my soul and gives me motivation and strength. I remember my carefree-childhood summers were magical. My parents would drop my friends and I off at the beach, the movies, the mall, and we would use our imagination to have fun, those were the good ol days. Can I bring the child like mind-set back again? I sure hope so. The summer has been kicked out already by taking a trip to Joshua Tree, Idyllwild and attending the Food Bowl, attending a watercolor workshop, I can't wait for MORE. Here I go with my 2018 Summer bucket list. I had this in the works for a half a year now, I got booked for a wedding in Croatia in August, yes Croatia! I'm beyond excited for this opportunity but very nervous too. I'm not taking Piper and Stu can't take off of work from his new job so I'll be rolling solo. It's going to be hard to be away from my little precious girl but I know this is a once in a lifetime experience and I'm going to make it just that. I ran a half marathon in the past but maybe I should start with a 5k so I don't tear my achilles. I will also look on meetup.com to see if I can find any run club. Every time I run a 5 or 10k, I always say "why don't I do this more often". The adrenaline rush is insane and it put me in the best mood. I remember last year, I would see many people posting photos from the Hollywood Bowl. I would always say, "Dang-it, why didn't I know about this". Not this year. I'm going to get my Jennifer Hudson tickets asap. See the schedule here. Have you ever been to the Korean Spa with your friends? If you are unfamiliar, check out Conan O'brian going to Wii Spa on this video. I like to go once a year to get the dead skin removed from my skin and relax with my friends. We end the day at KBBQ, it's the best. Hermosa Beach has really good / free summer concerts. I really don't want to miss out on that this year. See the South Bay concert schedule here. Grand Park has really cool free activities, food festivals, DJ dance nights, Boot Camp. Check out the schedule here. I love singing, I grew up karaoking but my husband can't stand it. My voice gives him a headache so I barely ever go, it's been years. As I'm typing, I already texted some friends and it's happening tonight. Love these Woo Wednesday, they really inspire me. Foodies - where you at? My hubby and I as big foodies. All we really care and thing about is food, lol. We had the best time at the food bowl. I'm going to research and find out about more, I know there are plenty of fold festivals, night markets. Trying new delicious food is the key to my heart. Check out this list here. I hope this post has inspired you as much as it has inspired me. So go ahead and start booking some fun stuff to add to your calendar. Give yourself permission to LIVE LIFE TO THE FULLEST.